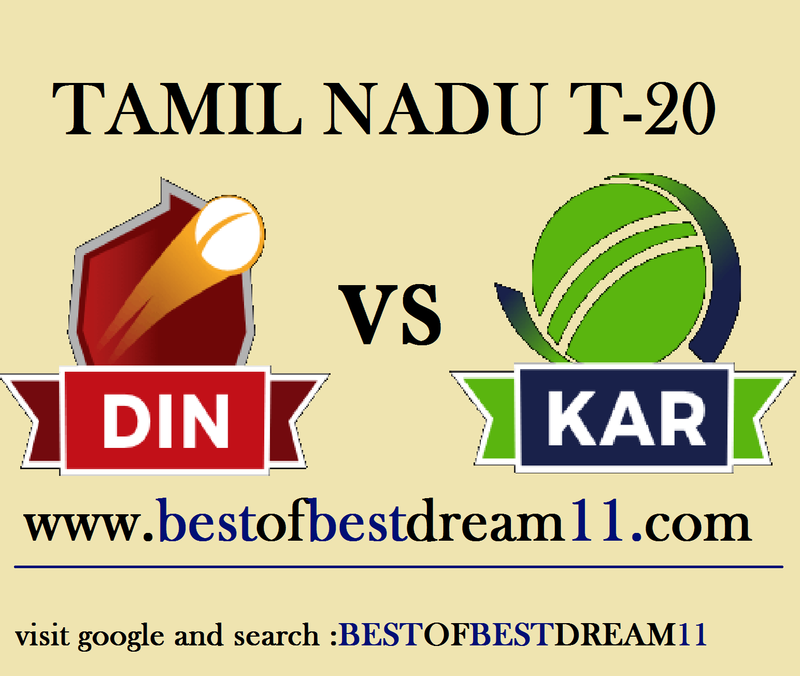 Here is best "DINDIGUL DRAGONS VS KARAIKUDI KAALAI", 21st Match,Tamil Nadu Premier League 2018, Dream11 Predictions for the Fantasy user ,who venue are looking to make a strong team for maximum win. We are providing latest news, match update, information about the match .The team is picked by using various factors on the basis of performance, ground stats and latest form. "Dindigul Dragons team running top of the points table,will play their sixth match against Karaikudi Kaalai.After losing their first match to Warriors, Dragons have won 4 matches in a row and would be looking to continue their winning streak against Kaalai.In the last match,they have been defeated Tuti Patriots by 4 wickets. On the other hand,Karaikudi Kaalai is also in good form. After losing the first match, the Kaalai team has won three consecutive matches.They have played four matches so far, three of which have won. 1-For Dindigul Dragons, R Vivek had a superb batting in the last match, he blasted 62 runs of 32 balls . 2- N Jagdeesan is leading run scorer for his team,while Hari Nishanth ,N Chaturved and M Mohammed are in great from with the bat. 3- in bowling,M Abhinav and Arun Mozhi will be crucial. 4- for Karaikudi Kaalai, captain S Anirudha is in a formidable form, he has scored 190 runs(93*+56+41) in the last three innings. 5-M Shajahan and V Aditya are also contributed for their team. 6-in bowling ,S Mohan Prasath took 3 wicket in the last match while Yo Mahesh and R Rajkumar took 2 wkt each.